You Are Here: Home > Why Should I Drive a Diesel Volkswagen? Why Should I Drive a Diesel Volkswagen? Have you noticed the increasing number of vehicles that use the diesel pump at your local gas station? It’s true! Americans are learning what Europeans already know, that diesel vehicles have many advantages over gasoline. Volkswagen recognizes this trend and encourages it with its TDI Clean Diesel lineup. We discuss below the many benefits you’ll realize when you drive a diesel VW. Check it out to see why driving a TDI Clean Diesel Volkswagen makes a lot of sense. Fuel Economy – The VW lineup of TDI Clean Diesel vehicles is amazingly efficient. For example, the TDI Clean Diesel VW Golf offers an estimated 45 highway miles per gallon, significantly more than the 37 mpg on the gas Golf TSI model. Variety of TDI Models – Diesel is no long just for trucks. Volkswagen’s lineup of TDI Clean Diesel models is tremendously varied, offering a comprehensive variety of different vehicle types. Including the Jetta sedan, Beetle coupe, Golf hatchback, Touareg SUV, and a few more models. The VW TDI lineup has the perfect vehicle just for you! Diesel Is Easy to Find – Long gone are the days when it was hard to find a source of diesel fuel. Truckers constantly need diesel, so stations and truck stops with diesel were already fairly common. But rising interest in diesel popularity means even more diesel-equipped stations are sprouting across the USA. Impressive Torque – Truck drivers know this simple truth: It’s not the horsepower, it’s the torque. Heavy-duty trucks need to get up to highway speed in a hurry, and torque is the key. And when it comes to torque, diesel engines beat the stuffing out of gas engines. If you want more power, consider a diesel Volkswagen. Improvements Over Past Diesels – Forget about your grandad’s dirty old diesel. Today’s VW’s diesel vehicles are fuel efficient, responsive, clean and quiet. The new Volkswagen TDI Clean Diesel lineup is your source for efficient vehicles offering a comfortable, quiet ride. If you are shopping for a fuel-efficient vehicle, stop into our dealership in Streetsboro Ohio to see the complete lineup of Volkswagen TDI Clean Diesel vehicles. We’ll be happy to set up one or more test drives so that you can experience first-hand the many attractive features provided by diesel-powered vehicles. 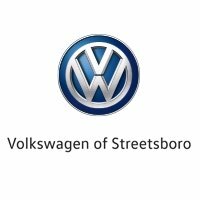 Now that you know more about the benefits of diesel vehicles, why not stop into Volkswagen of Streetsboro today? It’s your first step into a better driving world!